Thank you for taking a moment to visit Mastertech Automotive Experts, the leading shop in Oceanside Volkswagen auto repair and service. For Volkswagen owners who are sick of paying dealership service prices and dealing with the slow turnaround times and poor customer service, Mastertech is a better option. We work on all VW vehicles, including the Jetta, Passat, Beetle, CC, Tiguan, Touareg, Golf, GTI and more. The reason that we have built up such a loyal following years is the team of A.S.E. Certified Technicians in our garage. Our team is among the best in the business, and will ensure that you work gets done right the first time. There is no cutting corners in our shop – and we offer a warranty on all of our work to prove how confident we are. 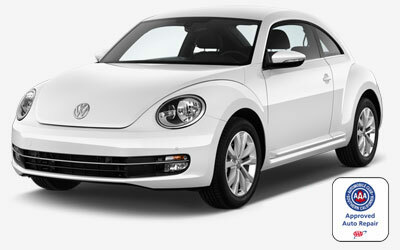 Call or stop by today to ask about what we can offer you and your Volkswagen. Customer service is a big part of what we do, and just as important to us as the repair itself. We want for you to feel welcome in our shop, and to know that you are a valued customer to us. We offer pickup and drop off service, accept walk-in appointments, and will also schedule you well in advance if that makes things easier for you. At Mastertech, it is all about making the customer happy, so expect to be treated that way from start to finish. We hope you choose us for all of your Oceanside VW repair needs!